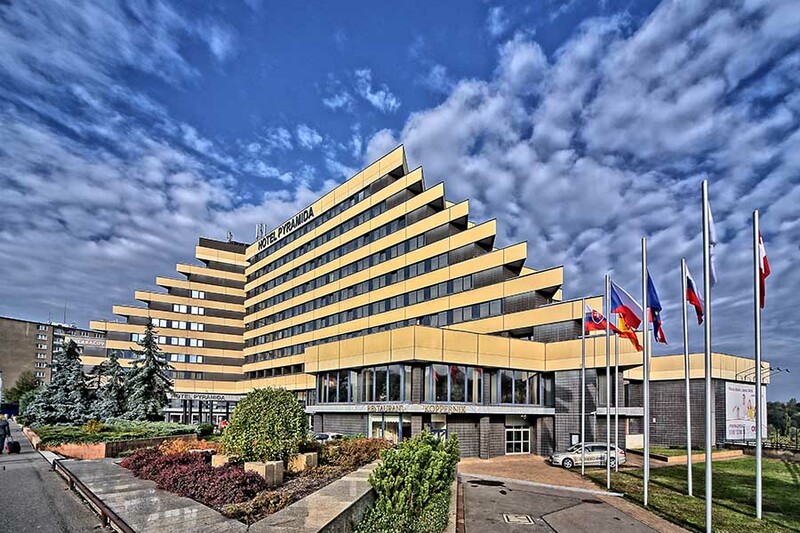 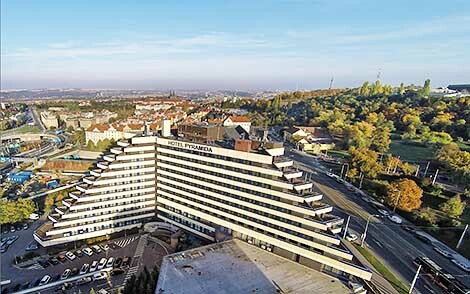 The Pyramida Hotel combines comfortable accommodation, high-quality cuisine and matching services including swimming pool with fitness center and conference facilities. 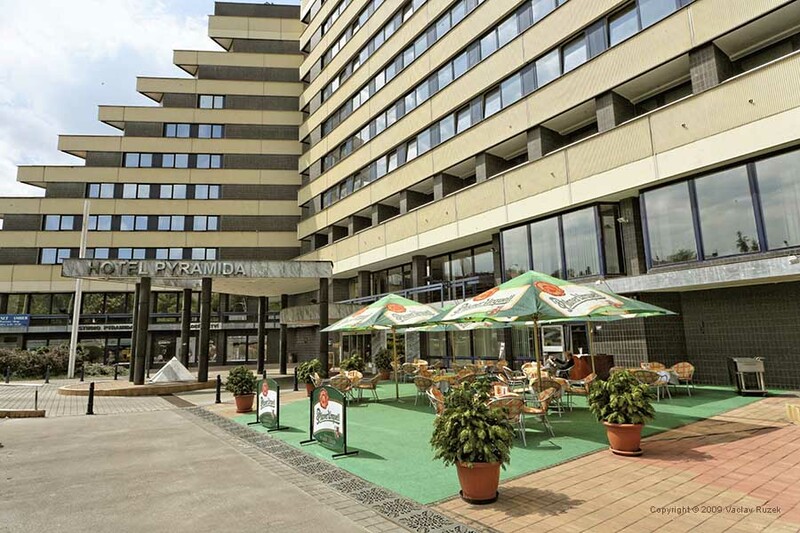 Visitors arriving by car can take advantage of the hotel's parking lot and the whole hotel is wheelchair accesible. 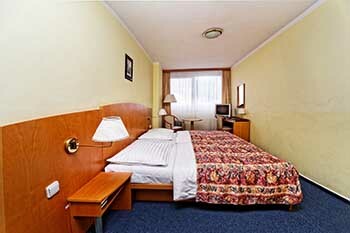 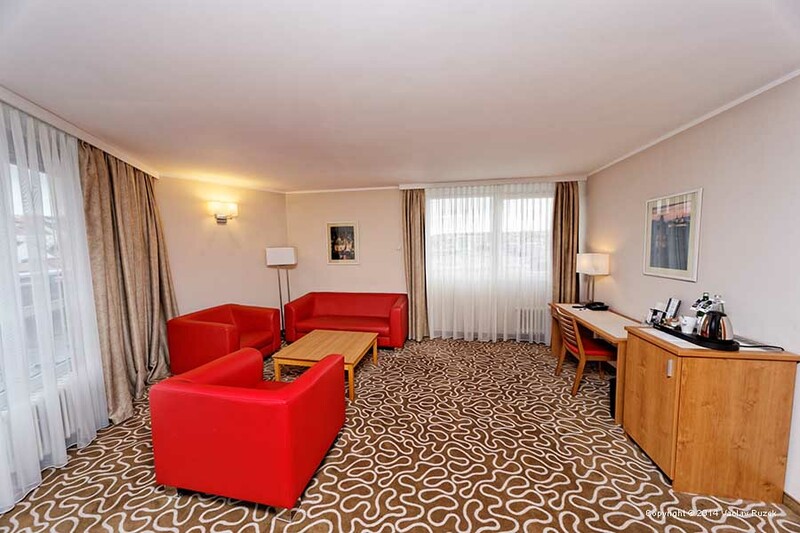 We have a very convenient location on the edge of the historical centre - the Prague Castle quarter. 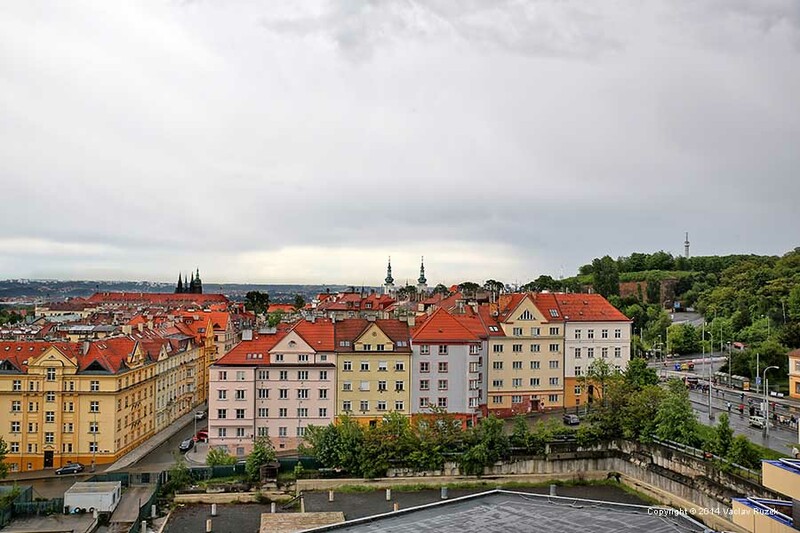 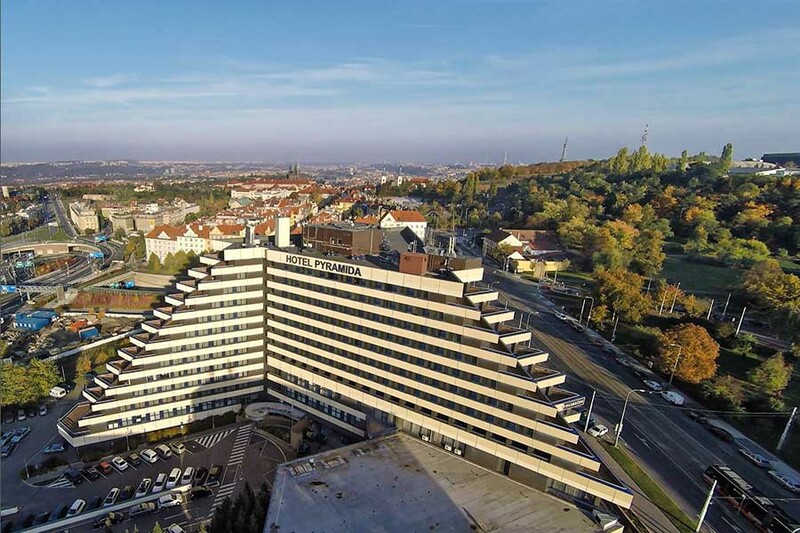 The distance to the Prague Castle is only fifteen minutes on foot, 9 minutes on foot is the Strahov Monastery and Petrin Gardens (the Petrin outlook tower is also 15 minutes on foot from the hotel). 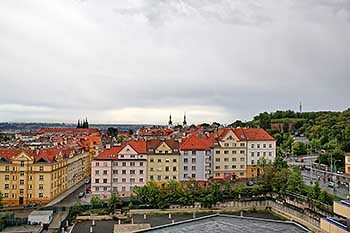 For the way back (uphill) you can use the public transport (tram stop is in front of the hotel), which connects you with the City centre in about 15 minutes. 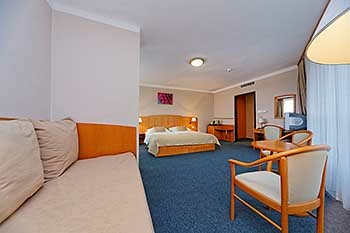 For transfer to the airport you can use the hotel's taxi service; the journey time is only 20 minutes. 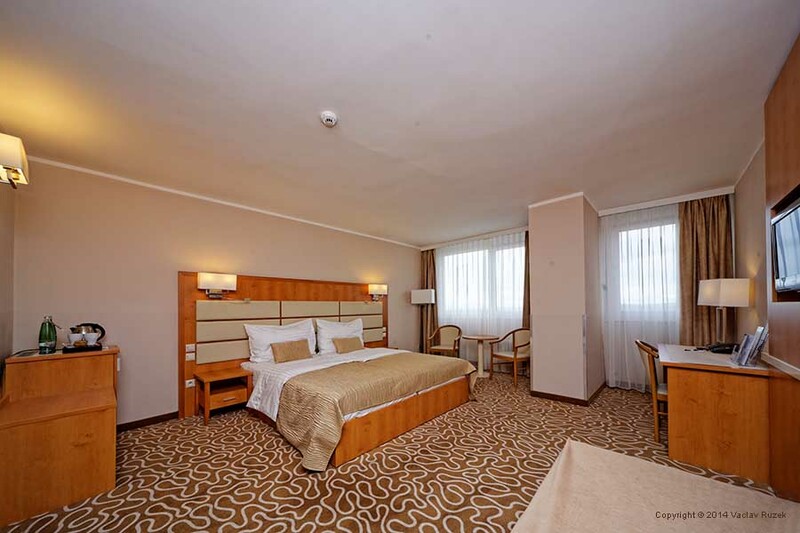 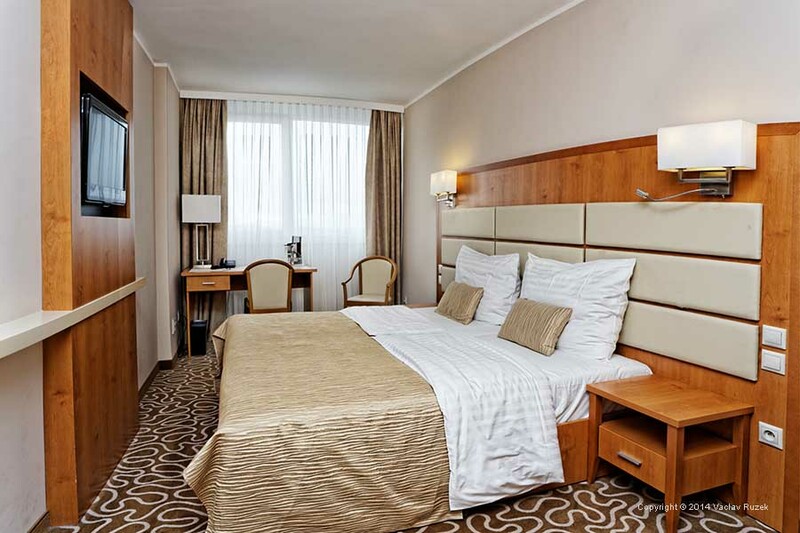 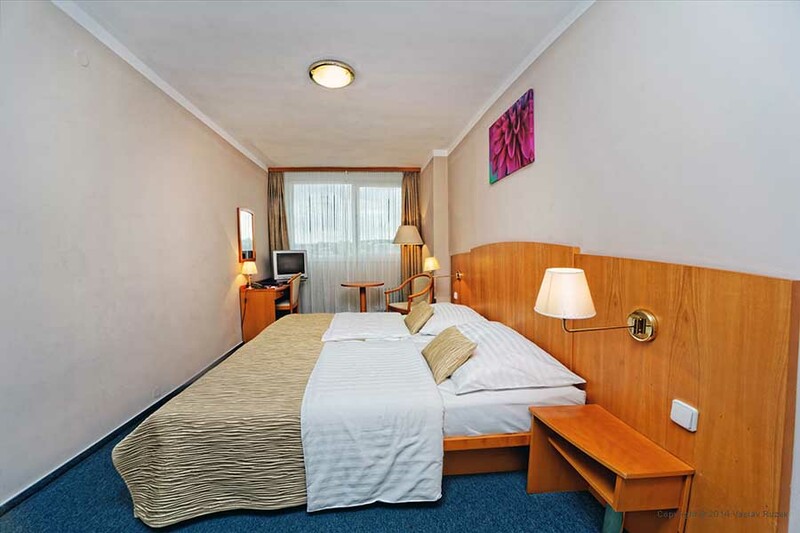 We offer accommodation in 354 comfortably furnished rooms with Wi-Fi connection and air-conditioning. There are 266 double rooms, 47 single rooms, 25 triple rooms, 12 suites and 4 rooms for physically disabled guests. 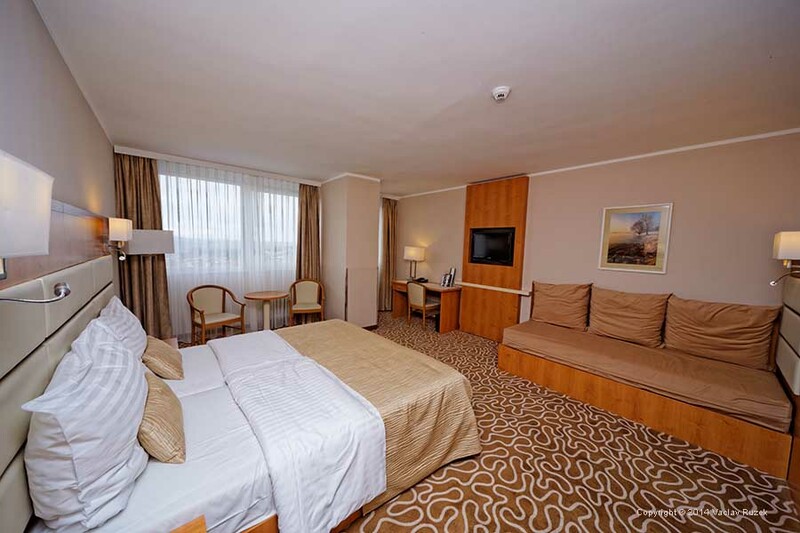 All rooms are equipped with bathroom and toilet, smoke detectors, card lock system, safe deposit boxes, mini-bars, SAT/Pay TVs, writing desks and direct-dial telephones. 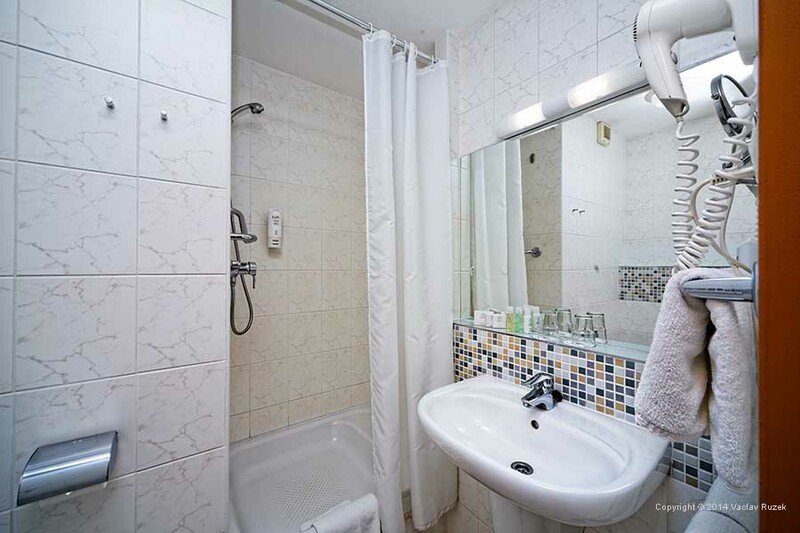 The bathrooms are fitted with a bathtub or a shower and a hair dryer. 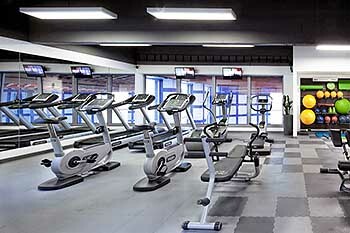 We have smoking and non-smoking floors. Superior rooms are located on the upper floors and have also coffee and tea making facilities and free Wi-Fi internet connection (in stanadrd rooms Wi-Fi connection is paid). Suites consist of two rooms: the bedroom and the living room, furnished with a sofa set, which opens to a terrace..
Other features include magnetic key cards (with locks in the inside of each room), in-house laundry and dry-cleaning, additional safe at the reception, exchange office, concierge for theatre and opera tickets as well as sightseeing tours, secretarial services, baby-sitter, massage, hairdresser, beauty salon, sauna, indoor swimming pool, fitness center, international newspapers and magazines at the reception, 24-hours room service and 24-hours security service. We offer also 4 rooms for handicapped guests specially designed for safe and comfortable use by the physically challenged. The shower stall is fitted with a folding seat and hand rails. 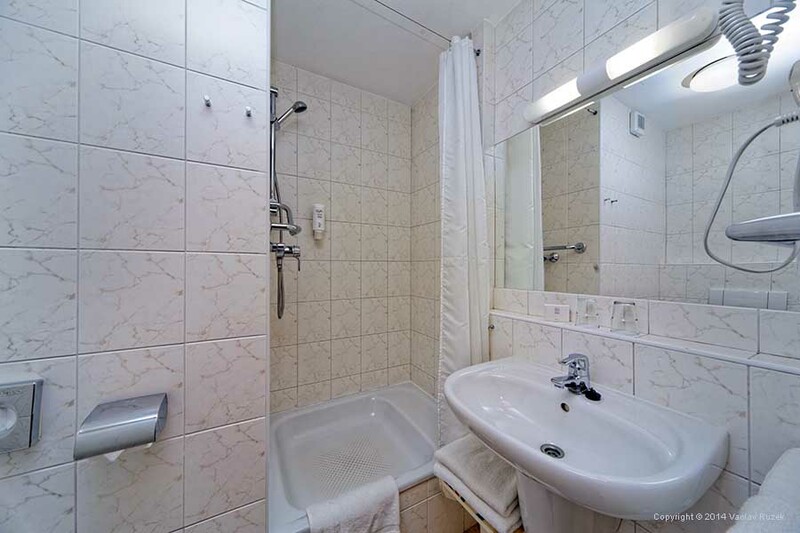 The bed is 50 cm high, the chair's height is 45 cm, the sink is 80 cm high and the toilet seat is 50 cm high. 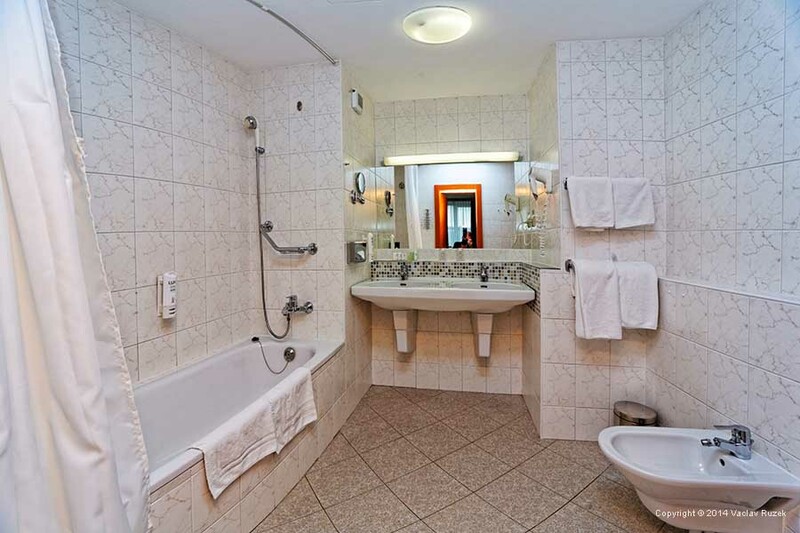 The entrance and bathroom doors are 80 cm wide. 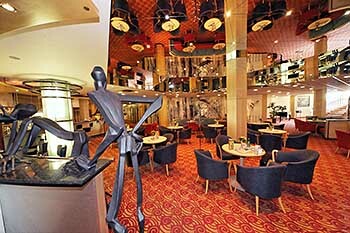 Breakfast restaurant Bohemia is located on the 1st floor of the hotel. This restaurant serves buffet-style breakfasts in the morning, as well as prepaid lunches and dinners for groups or congress participants. 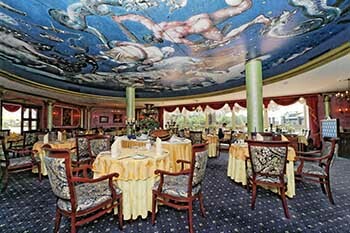 Breakfast is served every day from 6:30 AM till 10:00 AM. 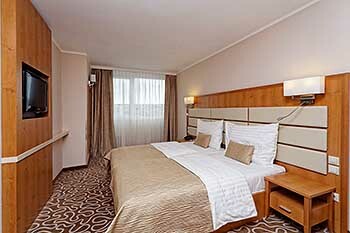 Do you want to spend a lazy morning or a romantic evening in the privacy of your room? 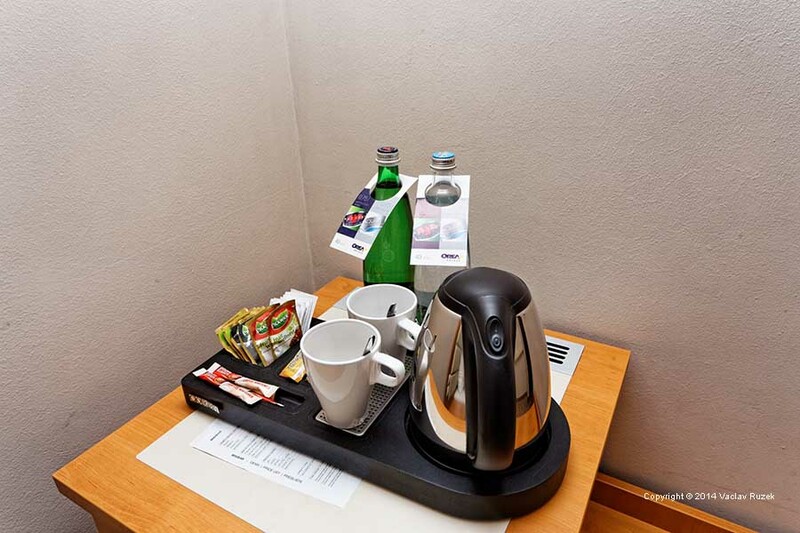 Don't think twice and let the room service pamper you. 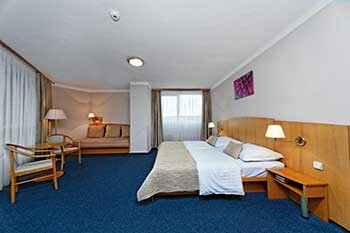 Available every day 6:30 AM - 11:00 PM. 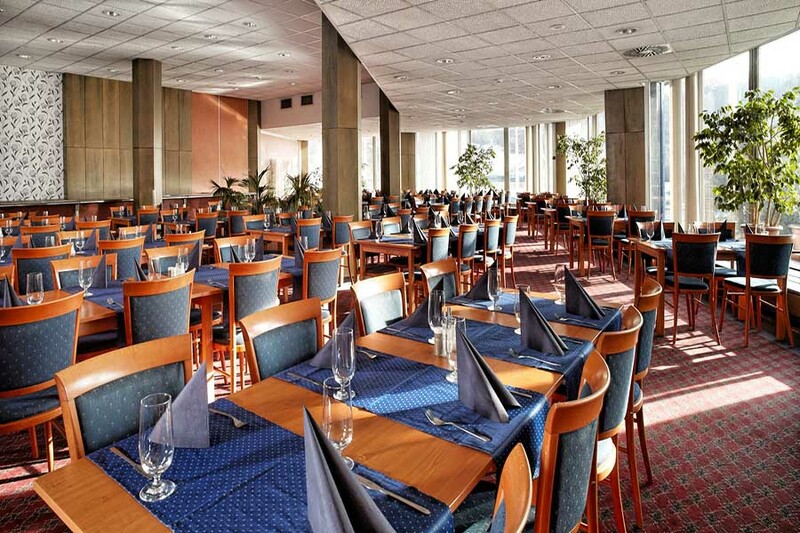 Restaurant Koppernik is a la carte restaurant offering lunches and dinners. Its starting point is at 11 a.m. and it is also an ideal place for a night glass around midnight - it closes at 11 p.m. 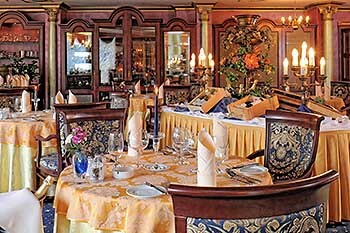 It offers a wide selection of local and international cuisine as well as unique selection of wines from all around the world. Restaurant Koppernik is located on the ground floor of the hotel Pyramida. 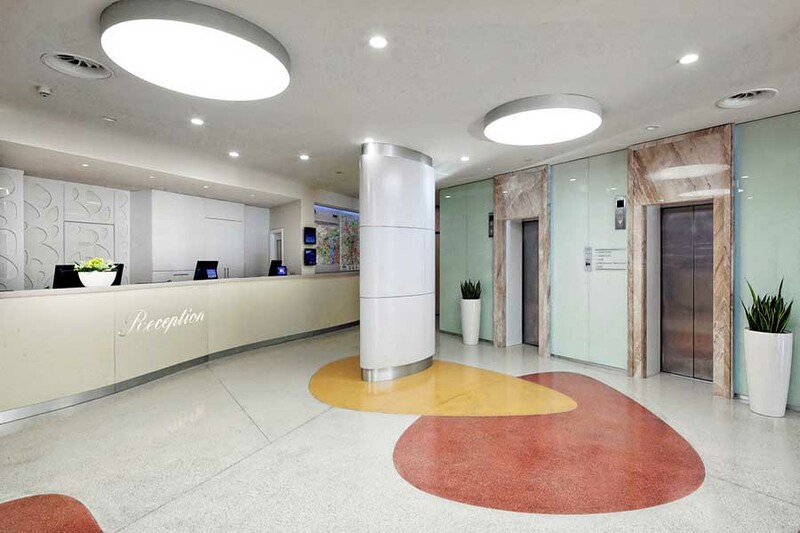 The entrance is either from the hotel lobby or directly from the street. 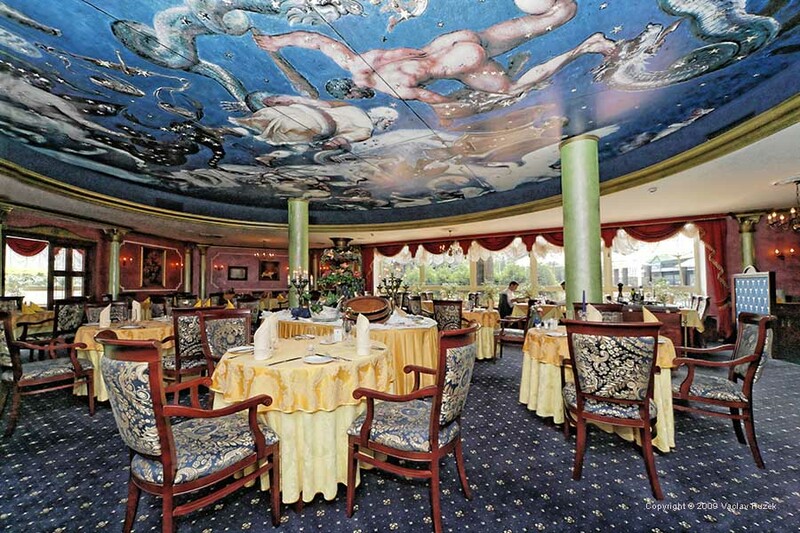 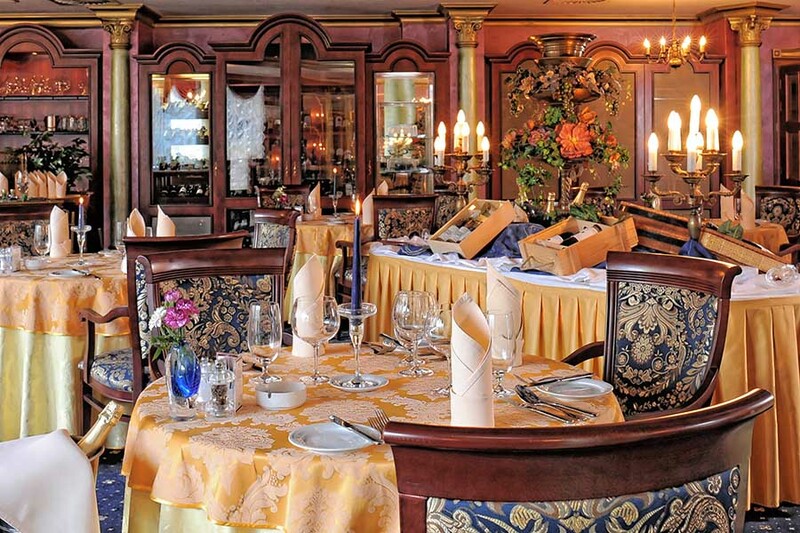 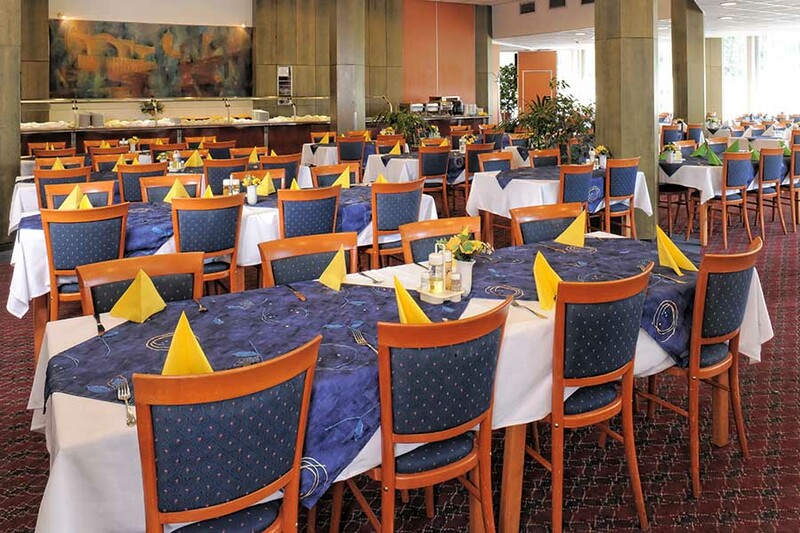 Restaurant's capacity is 70 seats and is mainly used for business lunches and dinners or another pleasant occasions. 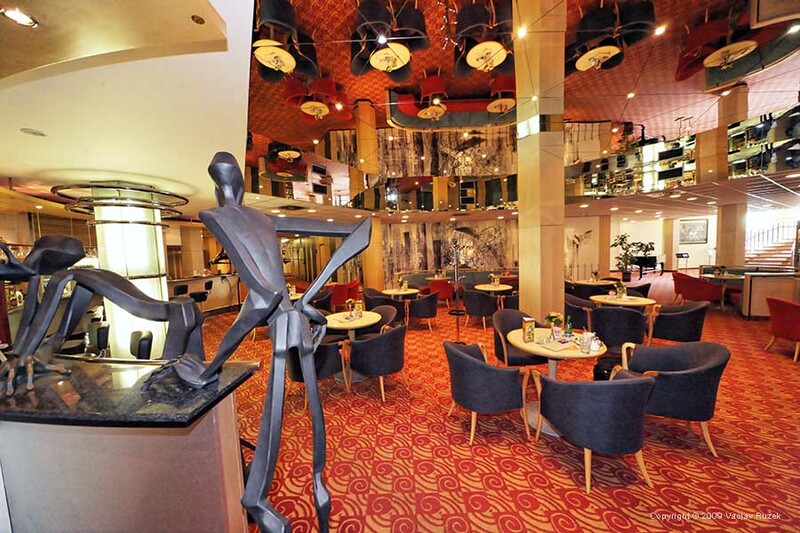 Lobby Bar Franz Kafka is a place in the very “heart” of the hotel, representing its pulsating and dynamic center of activities. 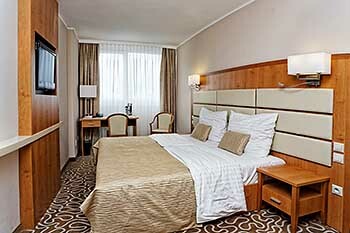 The pleasantly energetic atmosphere will pull you in and make you a part of the hotel's life. 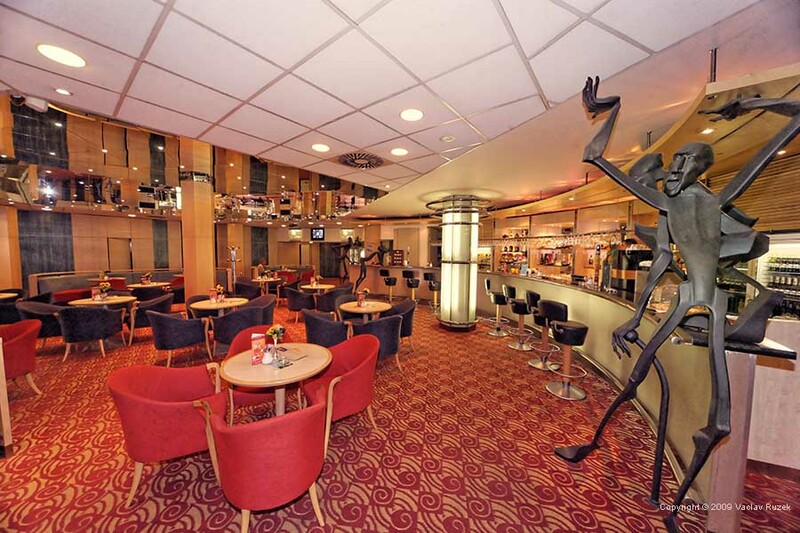 The lobby bar seats 68 people and opens every day from 8:00 AM till 1:00 AM. 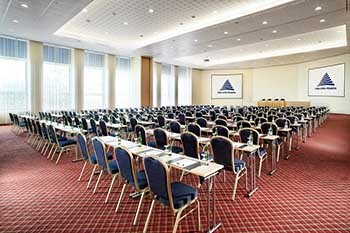 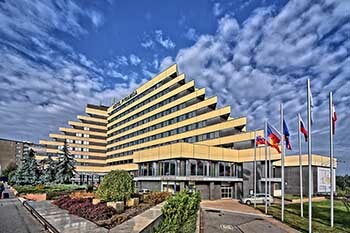 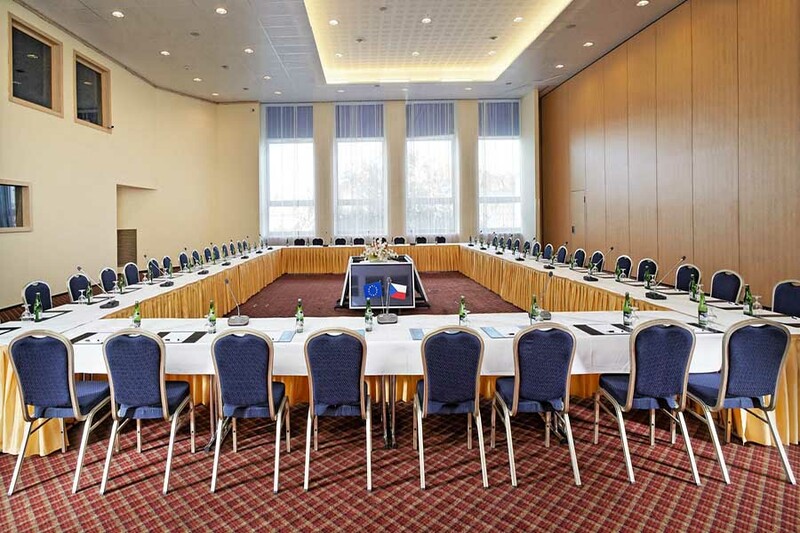 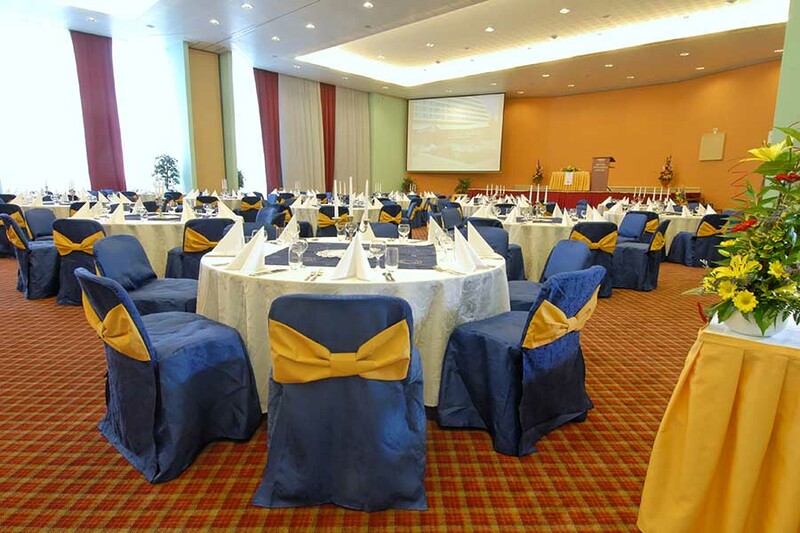 Hotel Pyramida offers nine fully air-conditioned conference rooms. 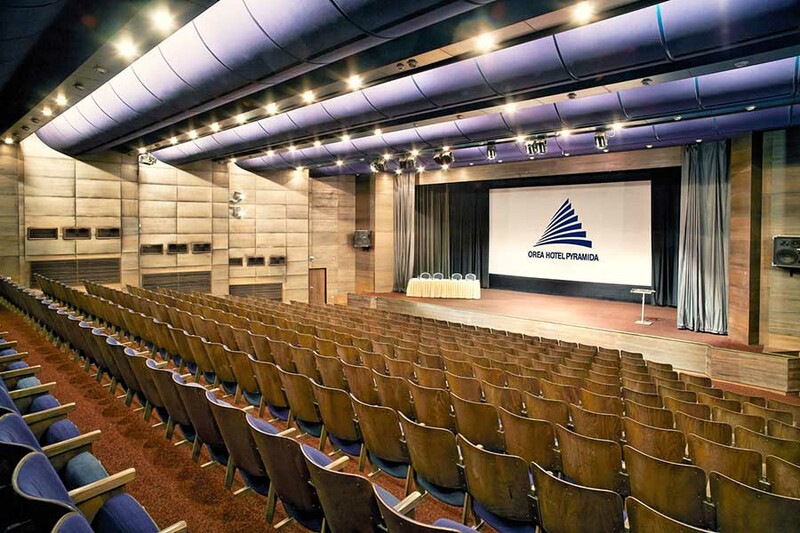 Together they can accommodate up to 1100 people and cover 1200 m2; with additional exhibition space of 800 m2. 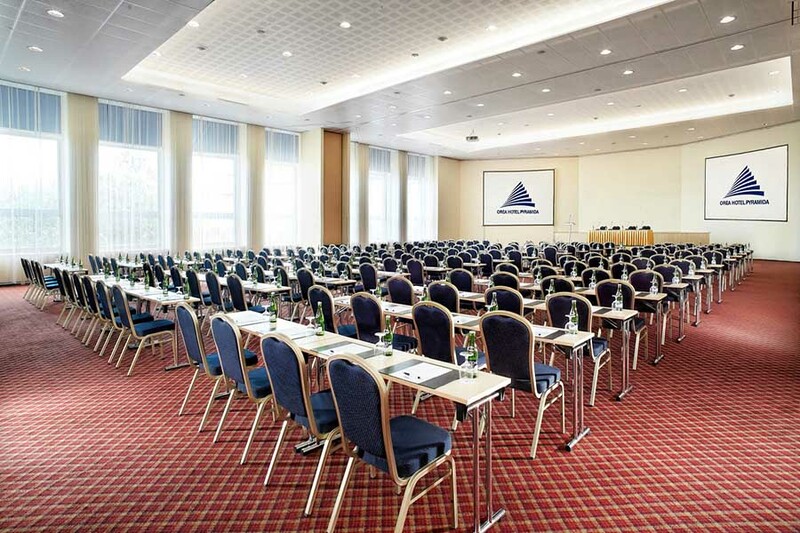 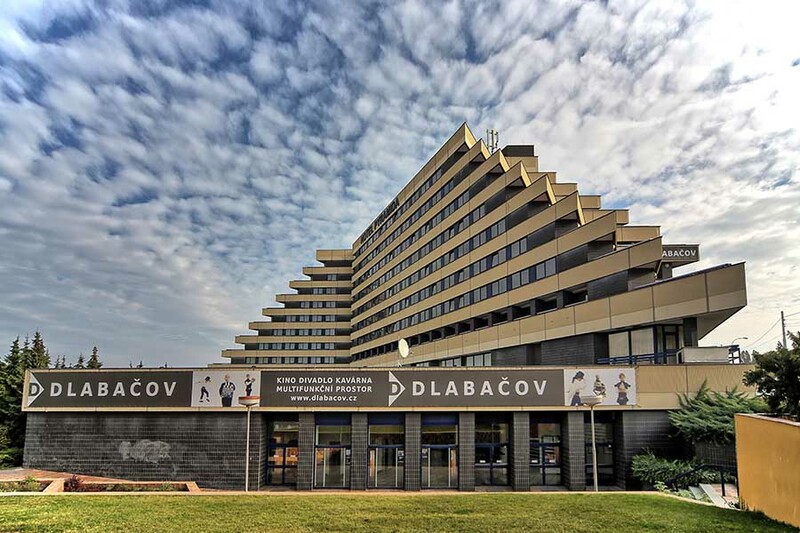 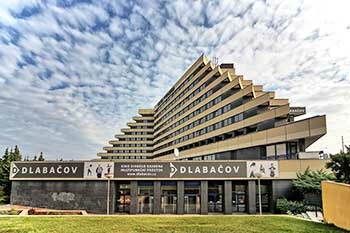 Conference halls 1-6 are located on the first floor and can be entered only from the hotel. The Congress Hall and Cinema are on the ground floor and are accessible also from outside. 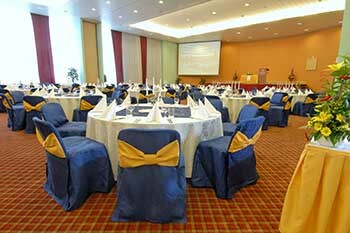 Our Business Center is situated on the ground floor near the Lobby Bar. Wi-Fi Internet connection is available in all conference rooms. 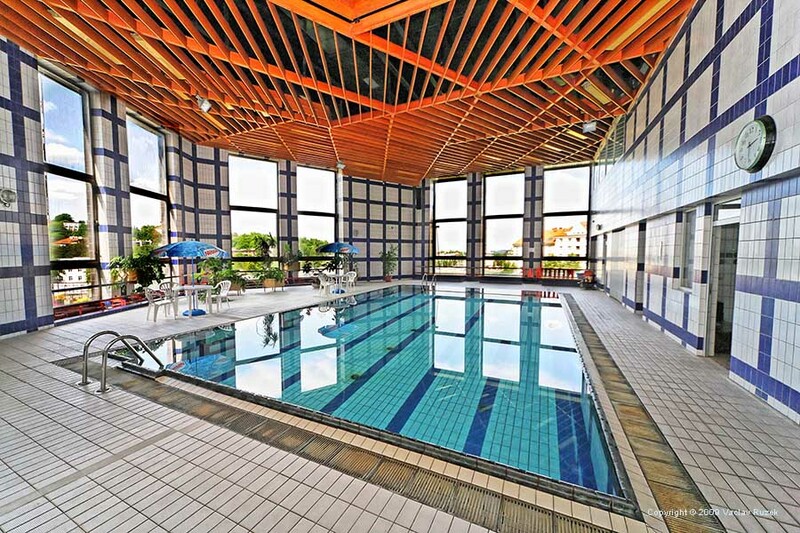 Our guests can use hotel relax centre with indoor swimming pool (11 x 7 m, depth of 1,6 m), fitness centre, sauna, solarium and massages. Water in our swimming pool is one of the cleanest in Prague. We also offer discount for reservations for 3 or more nights. 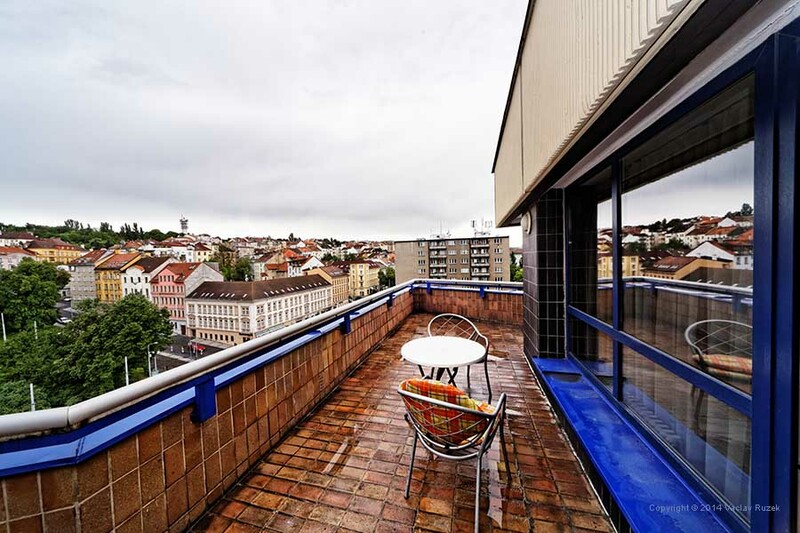 Up to 6 years: free of charge.